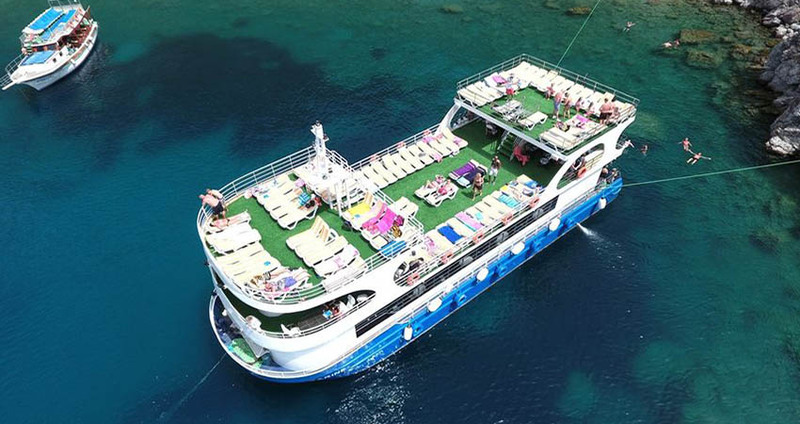 You can see the available dates for Marmaris Semi Submarine Boat Trip. Please use the booking widget to make reservation. Marmaris Semi Submarine boat tour is unique and special in many ways. This amazing tour offers you an opportunity to discover the beautiful underwater world of the Mediterranean without having to get wet! 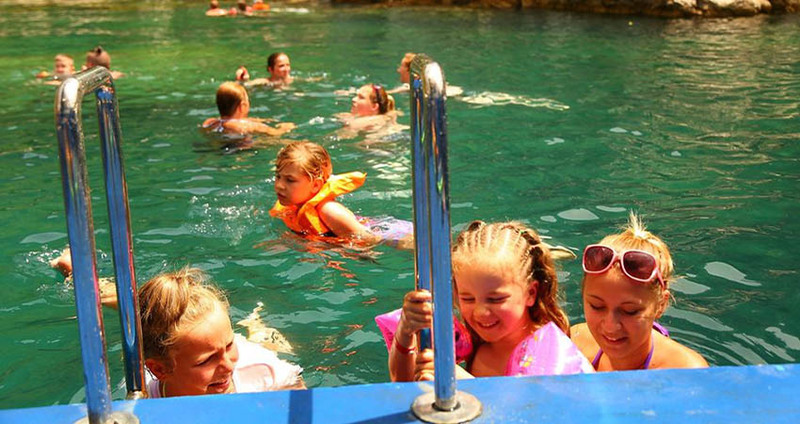 During the tour we visit the Phosphoric Cave and watch the ancient amphorae underwater at the Kadirga Bay, observe the sunken ship near Marmaris and explore the wonderful underwater world through the glass windows from within the boat. 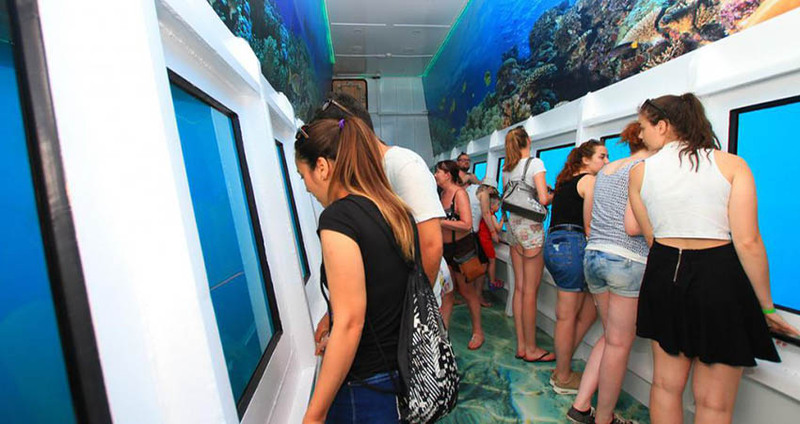 All these activities and heaps of fun are not just for adults, the tour is kids friendly as well. 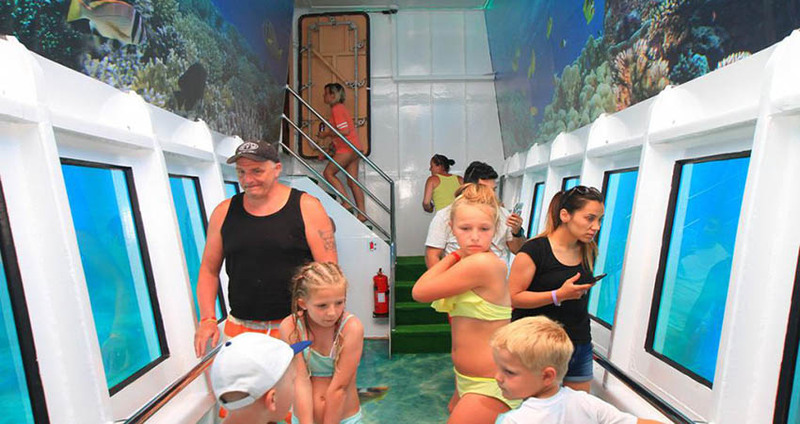 People of all ages are welcome to join this all-exciting semi-submarine boat tour from Marmaris. 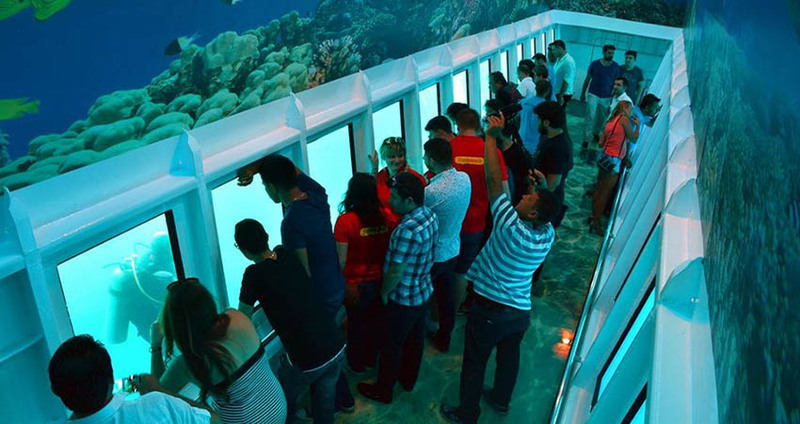 Our specially designed glass bottom boat is 28 meters in length and 8 meters wide. With a very special tube fitted 3 meters deep in the lower part of the boat, you have an amazing opportunity to have a glimpse of that happens underwater. This is a perfect alternative tour for those who look to enjoy the views underwater without having to dive and get wet! The tour begins with picking you from your hotel at around 8:45 am. 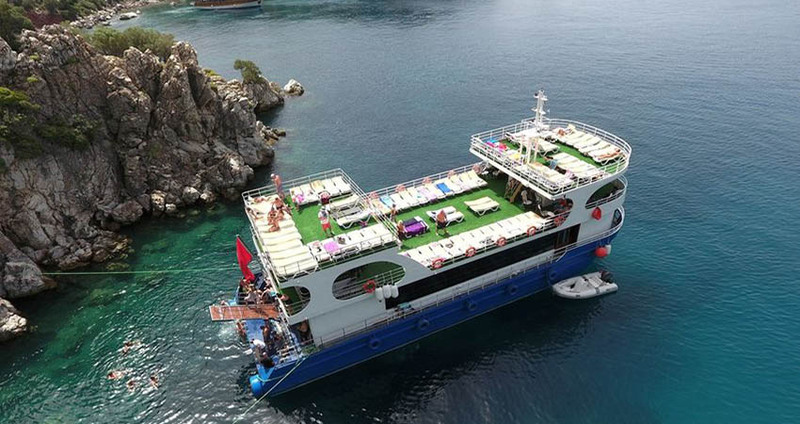 As the specially designed boat departs from the harbour, you’ll be cruising through the beautiful bays and by the surrounding islands of Marmaris. Apart from watching the beautiful world underwater, you can opt to take dives into the water or enjoy your day sunbathing on the deck. During the course of the cruise, observe a sunken ship near Marmaris, visit the Phosphoric Cave and watch the ancient amphorae at the Kadirga Bay. Relish luscious lunch onboard and lounge lazily on sun beds upon the deck enjoying the splendid views of nature around. 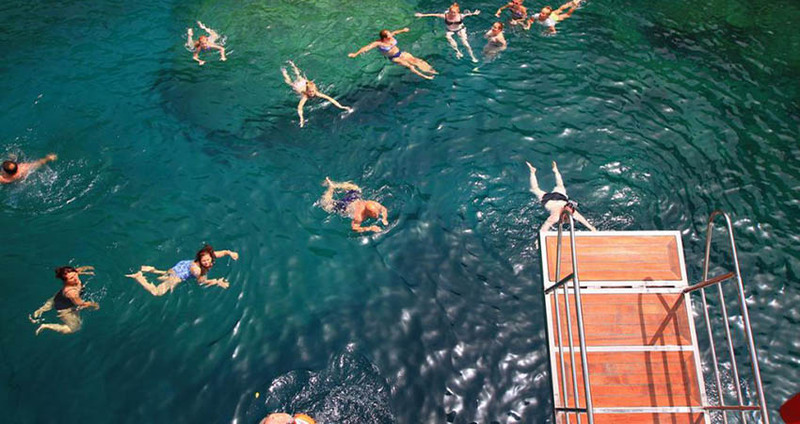 We take several swim breaks at some beautiful bays in the clear turquoise waters during the cruise. The entire tour duration is 7 hours and you’ll be back to your place by 4:00 pm. Take home the pleasant memories of our all-exciting semi-submarine tour with you to cherish them for long. Please be ready at the main entrance gate of your hotel. Towels, Swimming Costumes, Sun Cream, Sun Glasses, Camera. Lunch (BBQ Chicken or Mackerel Fish, Salad, Rice, Chips), (English Speaking) Crew, Full Insurance, Hotel Transfer. Drinks, Other Food Options, Personal Expenditures. It is a great day just have fun ! 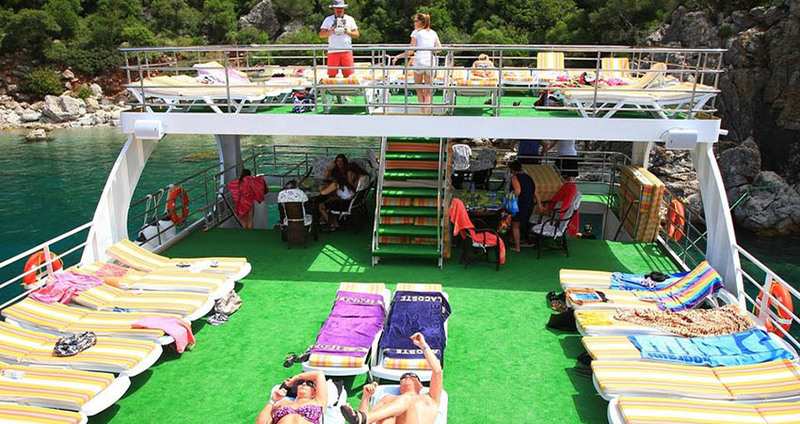 Categories of "Marmaris Semi Submarine Boat Trip"
A beautiful, relaxing day out on Marmaris glass bottom boat. People were smiling all the time, lunch was open buffet and very good. We booked many tours with Mares Travel and they are always on time and very helpful. Semi Submarine in Marmaris is a very nice and a very big boat. 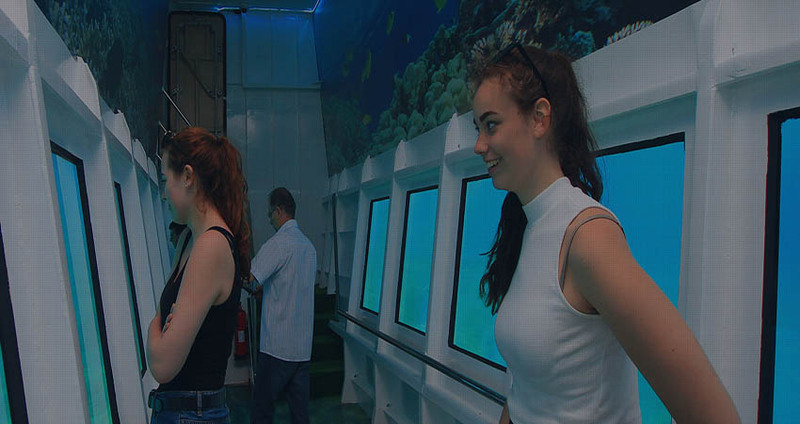 It has three floors, you can get a better suntan up stairs or relax in the air conditioned restaurant or go down to the underwater life. You will have a nice and relaxing day out. The tour has plenty of swimming opportunities and the food is really good. Prices for the drinks on the boat was fair. When i arrived i was abit worried about getting a sunbed there there is no need as there are plenty of them. I have a very sensitive skin, will this tour still ok for me ? The Semi Submarine Boat is huge and there is plenty of shade. Do you have vegetarian food on the boat ? We can easily arrange a delicious omelet for you please just mention that you are vegetarian while you booking with us. Will there be enough sunbeds ? We accept guests according to the legal capacity of our boats. So there are always enough sunbeds for everyone. 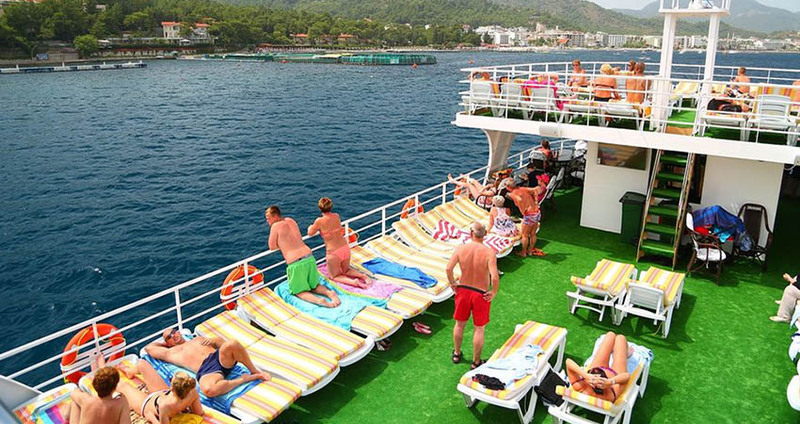 Our Marmaris semi-submarine tour begins with hotel transfers to the harbour at around 9:30 am. The specially designed glass bottom boat waiting at the harbour sets sailing once you are onboard. 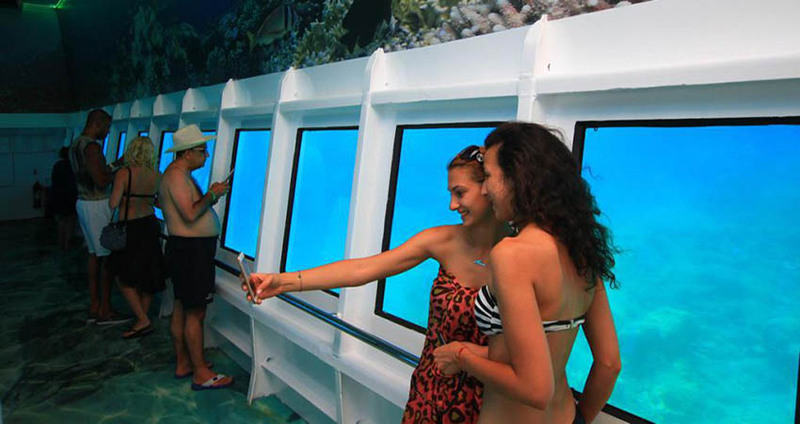 Under the boat nearly 3 meters deep, there is a special glass tube which lets our guests see under the waters. This special design of our boat gives you a very clear vision of the water around you. You’ll be mesmerised watching everything that happens underwater. 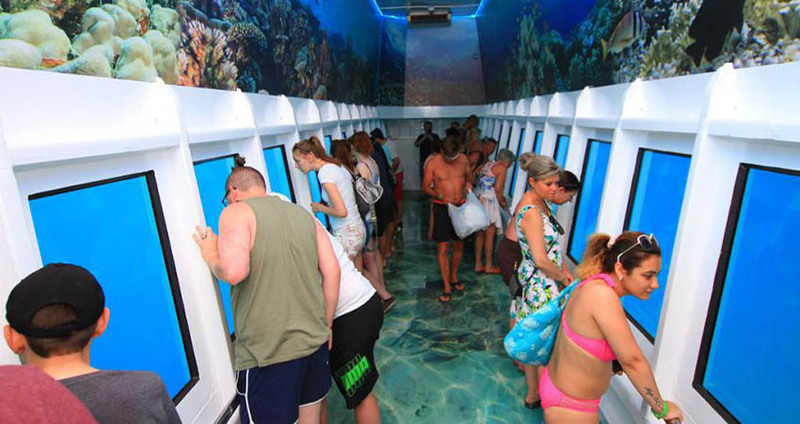 Joining our semi-submarine tour is an alternate option for those who don’t prefer diving. One can enjoy all the best views underwater without having to dive! Sailing on the special glass bottom boat, our first stop is at the Shipwreck near Marmaris. One can have a clear view of the details of the shipwreck from a close distance as the boat slowly moves by it. This is an amazing opportunity of getting to see everything underwater without having to dive into the water. Our first swim break is at the Red Beach. It’s one of the most suitable beach bays to have a swim break. The beach has obtained the coveted ‘Blue Flag’ for its clean surroundings and nature-friendly practices. Lunch comes within the tour package. Chicken or Mackerel Fish is the main course in your lunch onboard. The main course comes with salad, rice and chips. After visiting the Phosphorus Cave or the Wishing Cave, lunch is served on the boat. Please note that drinks onboard are charged extra. This is a swim break as well but in this very special bay we have ancient amphorae. During the swim break, you can stop for a while to watch these timeless beauties underwater. This is the last swim break you can enjoy before we take you back to Marmaris. The sea with a tinge of green at this fantastic bay is an excellent place to enjoy swimming and diving as well. At the end of the day long Marmaris Boat Trip, we are back in Marmaris at around 4:00 pm. 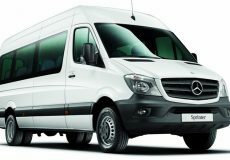 We arrange to drop you back safely and comfortably in our well-kept vehicles to your place of stay. 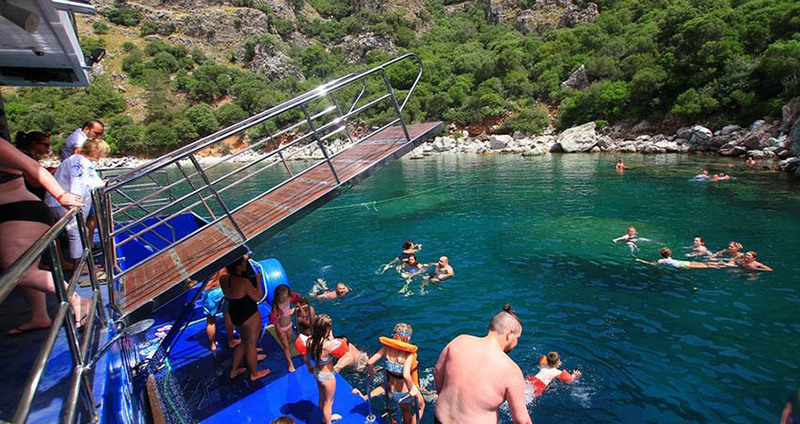 Some of the important facts and useful information about " Marmaris Semi Submarine Boat Trip "
Marmaris Semi Submarine Boat Trip offers you an opportunity to discover the beautiful underwater world of Marmaris.